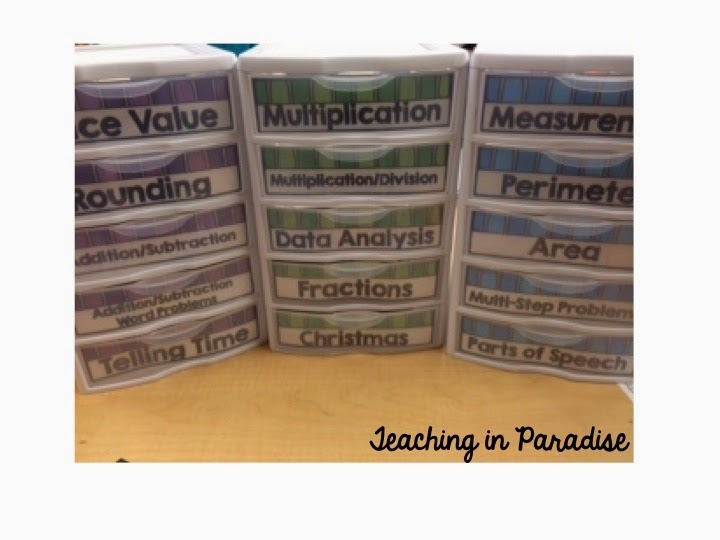 Teaching in Paradise: Task Cards in the Classroom. 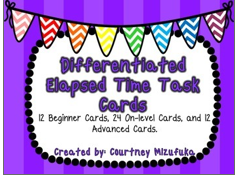 Do you use task cards in the classroom?? 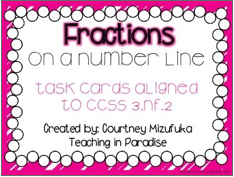 I LOVE using task cards in my classroom. Over the years, I have collected, created, printed, laminated, and cut A LOT of task cards. My collection has grown quite large over the years. 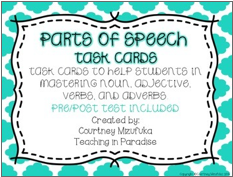 Task cards are so great because they offer valuable practice, review, and reinforcement of students for important concepts. Being that we are a testing grade, students need lots of practice to ensure they have mastered the skills before that dreaded test. It kills me to see worksheets xeroxed, used, piled up on my desk to be graded, returned, stuffed into cubbies or desks, then dumped into the trash can. 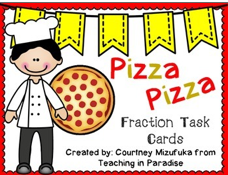 Task cards allow practice for students without having a gazillion worksheets to go through. The plus side of it though is that students love them too. My students often cheer when they find that it is time to work on task cards. The neat thing about task cards is that there are so many different ways to use them. For a game of SCOOT, students are all seated at their desks. They each get one task card, and you assign the cards around the room in number order. Students record their answer on their recording sheet, then quietly wait until the teacher calls SCOOT. At this moment, students will pick up their pencils, recording sheets and SCOOT to the next seat to answer the next task card. SCOOT works best for skills that don't require much time such as rounding, identifying parts of speech, fractions,etc. This would not be an ideal activity for things like word problems, elapsed time problems, etc. Students also love hunting for their task cards. I will often tape them up around the room, and students will go around with a clipboard and their recording sheets. They find their card, and record their answer on their recording sheets. 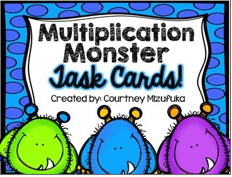 Task cards also work great as a center activity in both language arts and math. I will often lay task cards out on the carpet area and students work quietly there solving through their task cards. 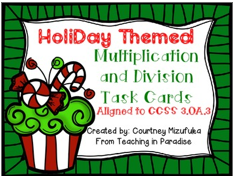 Another reason I love task cards so much is that once it's done and prepped for, you don't need to do it again! I use my task cards again and again year after year. Here is how I organize all of my task cards. I used the mini Sterilite plastic drawers and just added labels. All my cards are nicely tucked away and easy to access year after year. 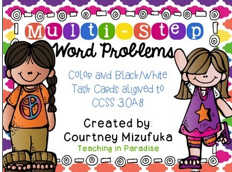 This is my newest set which practices multiplication word problems. It has a QR code version as well as a non QR code version. 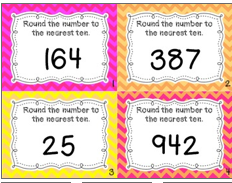 I have these cards for rounding- they come in a colored version as well as black and white. All of the task card in my store will be on sale for today and tomorrow! !